Moving a commercial office of any size is a detailed task that must be pulled off correctly to avoid excess downtime and broken items. Our Portland office movers have been moving offices of all sizes and requirements since 1926. 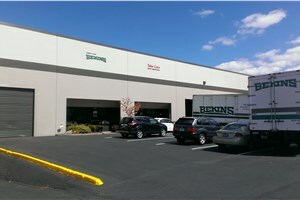 Rely on the Portland office movers at Irvington Transfer & Storage (ITS) Global Relocation Services, agent of Bekins Van Lines, to get up-and-running again seamlessly. Due to our dedication to quality office relocation solutions and customer service, our commercial moving company has become BBB-accredited, a member of the Oregon Moving and Storage Association, and a ProMover-accredited member of the American Moving & Storage Association (AMSA). Whether you have five desks to move or one hundred, you can count on our highly-trained office moving professionals to provide your business with the solutions it needs. The local Portland office movers at ITS Global Relocation Services can offer you a wide variety of commercial relocation solutions. As full-service professionals, our moving crews and project coordinators develop custom plans, tailored to your precise needs, selecting only the service options that your business requires. Your office moving plan may include services such as modular furniture moving, electronics moving, climate-controlled storage, and secure storage. As a professional office moving company, our team is composed of screened, highly-trained professionals with years of experience in the commercial moving industry. An office relocation requires specialized equipment, and ITS Global Relocation has the resources your need, including advanced moving technology such as flatbed trailers and forklifts to transport commercial items safely. 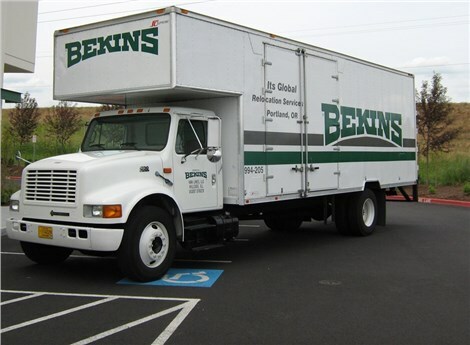 As a longstanding professional Portland office moving company and agent of Bekins Van Lines, ITS Global Relocation Services has the comprehensive resources necessary to move your office anywhere in the world. Don’t delay any longer – contact ITS Global today to begin your simple, hassle-free relocation. Call now to speak with a moving specialist or fill out our online quote form for a no-obligation estimate!